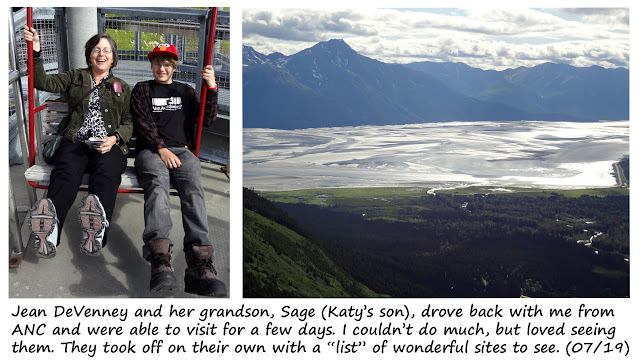 July 19, 2011 - After flying into ANC on the 18th, picked up Jean and Sage to travel home to Kenai/Soldotna. We were able to stop and take the tram up the Alyeska ski-hill. Fortunately, they had a cable car or I wouldn't have been able to go with them. LOL - no way could I "jump" from a ski lift with my leg, rib, and elbow bummed up!